Rivastigmine is a cholinesterase inhibitor, approved for the treatment of mild-to-moderate dementia of Alzheimer’s type. This study assessed the short- and long-term effectiveness and safety of rivastigmine in patients with mild-to-moderate Alzheimer’s disease (AD) in a real-world clinical setting in Taiwan. This was a 48-week, single-arm, open-label, prospective, observational, post-marketing surveillance, multicenter study. The primary outcomes were change from baseline to week 48 in the Mini-Mental State Examination (MMSE) and Clinical Dementia Rating (CDR) scores. One-year persistence to treatment, effect on activities of daily living, and incidence of adverse events (AEs) were also assessed. Overall, 151 patients were enrolled in the study, of which 91 (60.26%) completed this study. At the end of the study, the mean rivastigmine dose received by the patients was 6.59 mg/day. At week 48, the changes in mean [standard deviation (SD)] MMSE and CDR scores in the intent-to-treat (ITT) population from baseline were − 1.00 (3.8; p = 0.0344) and 0.07 (0.29; p = 0.0403), respectively. The most frequently reported AEs by preferred term were dizziness (12.58%) and nausea (9.27%). 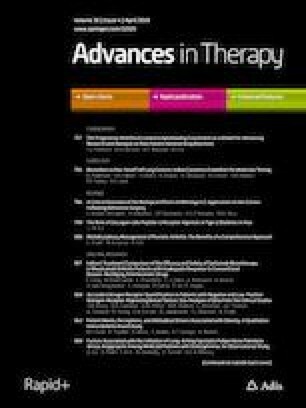 No new or unexpected AEs were observed, and 30 (20.13%) patients in the ITT population were on rivastigmine therapy for 1 year without treatment discontinuation. Despite the low 1-year persistence rate, rivastigmine showed a stabilizing effect on declining cognition in patients with mild-to-moderate AD in a real-world scenario. Rivastigmine is well tolerated at 6.0–9.0 mg/day with no unexpected safety concerns. Novartis Co. Ltd., Taipei, Taiwan. We thank the participants of the study. This study was funded by Novartis Co. Ltd., Taipei, Taiwan. The article processing fee was funded by Novartis Co. Ltd., Taipei, Taiwan. All authors had full access to all of the data in this study and take complete responsibility for the integrity of the data and accuracy of the data analysis. The authors thank Dinesh T. Makhija, Novartis Healthcare Pvt. Ltd, Hyderabad, India, for providing medical writing assistance. All authors meet the International Committee of Medical Journal Editors (ICMJE) criteria for authorship for this manuscript, take responsibility for the integrity of the work as a whole, and have given final approval for the version to be published. Chiung-Chih Chang, Giia-Sheun Peng, Te-Jen Lai, Chien-Hsun Li, and Ching-Kuan Liu have nothing to disclose. The study was conducted in accordance with the ethical principles of the Declaration of Helsinki and was approved by the following institutional review boards: the institutional review board of Tri-Service General Hospital, Chang Gung Medical Foundation Institutional Review Board, the Institutional Review Board of the Kaohsiung Medical University Hospital, and the Institutional Review Board of Chung Shan Medical University Hospital. All patients provided written informed consent before enrollment. The data sets during and/or analyzed during the current study are available from the corresponding author on reasonable request.